As a parent, it is your duty to provide your child with a healthy start. While healthy and fun do not always go hand in hand, there are plenty of fun and healthy hobbies that your children can get into early on in life. Dance may be a form of art, but it is also a form of fitness that will keep your child active. One of the great things about dancing is that it increases cardiovascular health and stamina, but it is also fun. With so many different types of dance, from ballet and contemporary to break dancing dancing and hip hop, your child can choose the type of expression they like the most and artistically work up a sweat. Swimming provides a great workout and exercises every muscle in the body without putting too much pressure on the limbs. Swimming is a skill you should teach your children when they are young, and once your child is a confident swimmer they can have fun playing games in the pool or competing in a league. If you prefer that an instructor help your child develop their water skills, visit SwimJim.com and learn about the methodical approach that this renowned programs takes. Not all hobbies have to be active in nature just for them to be healthy. All too often, kids will play with electronics and gaming consoles instead of participating with conventional art activities. If you want your child to tap into the creative quadrant of their brain, plan arts and crafts activities so that they can develop. Beads, painting, clay, paper drawings, and all other types of conventional art can entertain your child and keep their creative juices flowing early on. 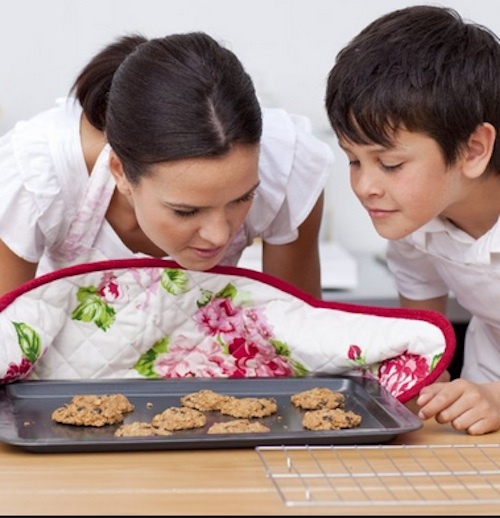 As a parent, you might not think cooking is a hobby, but when cooking is fun it can be. Cooking can help with development and can also help you encourage your child to eat healthy when you focus on nutrition. Choose easy starter recipes that have nutritional value, let your children gather the ingredients, and have them measure them out. Not only will your little one learn how to follow instructions, they will gain confidence and be open to eating healthier foods. Do you want your child to learn respect while they are being active? Martial arts is a great recreational hobby that teaches your children how to be social, how to obey the rules, how to respect elders, and how to protect themselves. There are plenty of hobbies that will take your children away from the computers and the TV so that they can be physically and mentally active. Go through all of your options when you are choosing a hobby, let your child chime in, and keep your kids entertained and healthy. My daughter loves art and we encourage her in it as much as we can. She spends more time drawing than watching tv so for that I’m glad! My daughter is all about the arts & crafts and cooking. My oldest son took karate when he was young. Definitely a good list of hobbies. Great list! All 3 of my children study Taekwondo. They love it. It’s fun and helps to teach them discipline, as well as stay fit. My kids love to dance, swim, and my boys are starting to enjoy cooking too. This is a great list of things for kids to get involved in as they are young. It leads to a life filled with knowledge they can always use. My kids all love to swim and to help me cook in the kitchen. They’re in scouts and other sports as well. My daughter starts up in dance again today. Busy busy! My kids LOVE cooking and creating! My kids all love cooking and making arts & crafts. We have or are doing all the rest you have listed here too. Good list. My oldest son and youngest daughter are dancers in our house and I think the last little guy will want to dance. My oldest daughter still hasn’t found that one thing that she wants to do, but I might try martial arts. These are great ideas. These are great suggestions! My kids have recently taken an interest in cooking and we are more than happy to nurture that. I have tried a couple of those with my kids. Good ideas. Great list! My kids do all of the above except for martial arts, it’s too expensive for us right now. But, maybe one day! Initially I wouldn’t have considered martial arts in this list, but it makes sense. I was never involved in martial arts as a child, but I agree with it and I would like my children to be able to protect themselves. I totally agree with you. Most kids only play video games. I think my niece Kat is the only one that crafts out of all of the nieces and nephews I have.